Pizza Peel Blades Made in Italy. 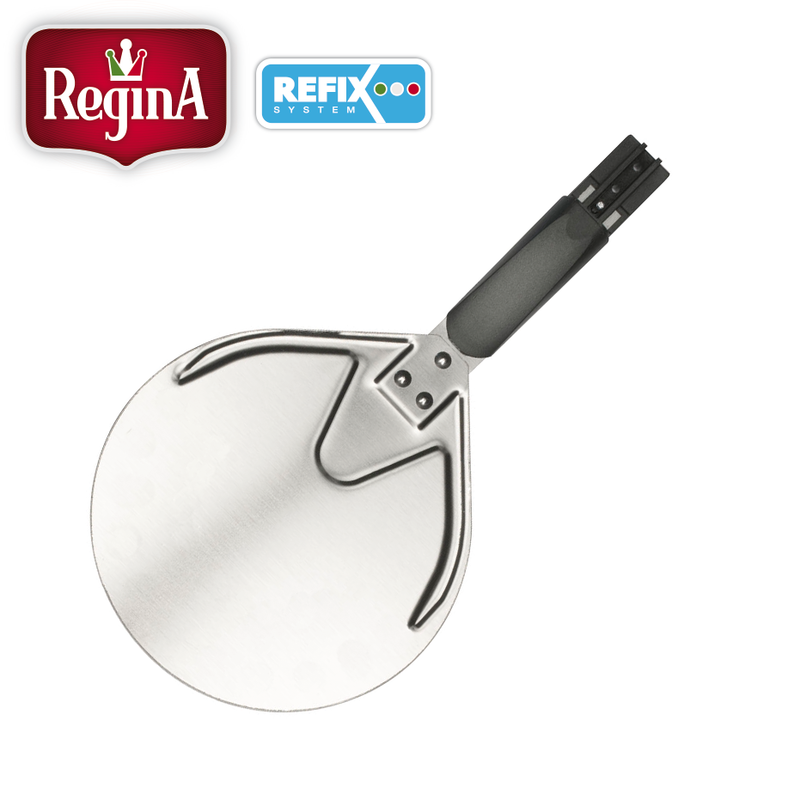 REGINA is the ultimate in professional pizza peels. Very light, flexible, for the real artists of the pizza. 1. Select Blade Size and Type. 3. Fix head to handle and use. Stainless steel round blade. To spin and remove pizzas from the oven. Handles are removable and changeable. Handles sold separately. Stainless steel perforated round blade. To spin and remove pizzas from the oven. Handles are removable and changeable. Handles sold separately. 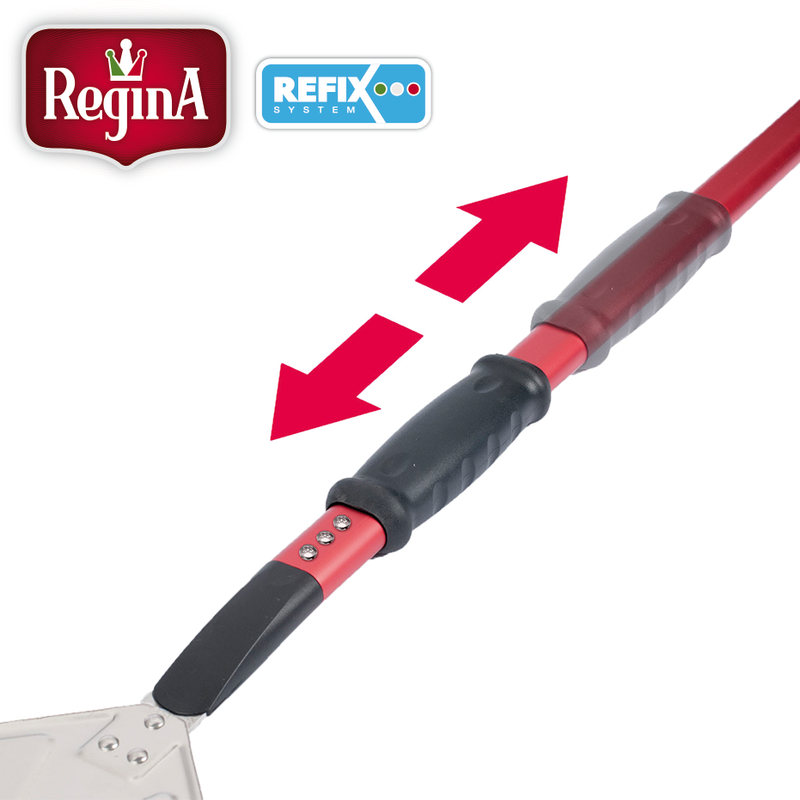 Refix Aluminium Handles with sliding grips.